Listening activities for lower-intermediate and intermediate students. Designed to make poetry in English accessible to upper-intermediate and more advanced students. The best-selling complete course for a fun and effective way to learn Swedish. This ISBN is for the paperback book. The corresponding audio support (ISBN: 9781444107180) is also available. The book and audio support can also be purchased as a pack (ISBN: 9781444107173). Suitable for first-time travelers who want just enough language skills to get by and be easily understood, this title includes just enough vocabulary and phrases for first-time travelers. It features: currency updates, in particular the introduction of the euro; changes in travel, such as using ATMs to exchange currencies. 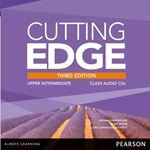 Cutting Edge 3rd Edition builds on the distinctive task-based approach that has made this course so popular. Engaging texts, new video content and a comprehensive digital package are just some of the features that make it even more effective. In today's global business environment it is necessary to communicate across cultural boundaries of languages, styles, and values. This text aims to help individuals deal with different cultural practices by developing their capacity to learn culturally appropriate behaviours and actions. Grammar reference and practice for the Cambridge CAE and Proficiency exams. 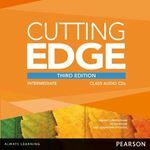 The bestselling, most reliable guide to the test used to meet English-language proficiency requirements at more than 10,000 institutions worldwide, including top universities in Australia, Canada, the U.K. and the U.S.- completely updated and featuring four authentic practice tests. This fun, absorbing book, packed with quirky bite-sized lists, quizzes and trivia, is an exploration of the Latin language, aiming to prove that it is as vibrant and relevant today as it was 2,500 years ago.